The stigma surrounding mental health is an obstacle that treatment centers like Anchored Recovery strive to overcome. The fear, embarrassment or shame that too often surround discussions about mental health are incredibly harmful. What’s more, these negative associations not only discourage people from talking about mental health, but they can also delay diagnosis and prevent people from getting the care they need. In turn, unaddressed mental health disorders make those struggling with them a danger to themselves and their loved ones. Self-destructive behaviors, harmful coping mechanisms, unpredictability and more can result from living with an undiagnosed or unmanaged mental health disorder. Moving beyond the stigma is vital in ensuring people can heal and find ways to live their lives in control of their mental health. At Anchored Recovery, we understand how difficult it is to live day-to-day with a mental health disorder. We know that it can feel isolating, confusing and restricting, and that you might often feel unsure where to turn. But it is our goal to change that. Our doors are open to people struggling with concerns like depression, anxiety, personality disorders, compulsive disorders and more. 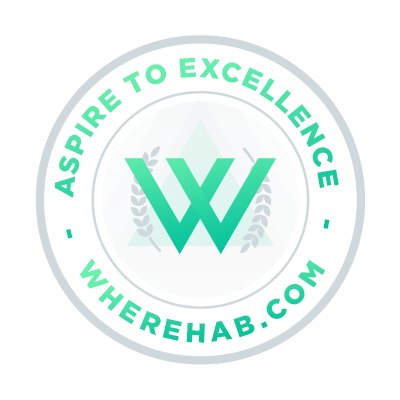 Here, you have access to a supportive community where you can get the help you need in a safe, comfortable and judgment-free environment. Mental health has always been a complex topic. Throughout most of history, mental health has taken a backseat to physical health — diseases with observable effects on the body were watched and treated, but ailments of the mind have always been more challenging to identify and address. It wasn’t until the late 19th century that psychology as a medical and scientific field emerged, and even now doctors and scientists are discovering new information about mental health every day. Today, we know that mental health disorders occur when certain pathways and processes in the brain are thrown off balance or disrupted. Your brain consists of billions of interconnected cells that communicate with each other using chemicals called neurotransmitters. Depending on the area of the brain, the type of neurotransmitter and the intensity of the cell-to-cell communication, you can have every kind of emotion, reaction and sensation imaginable. But when these systems don’t work the way they were meant to, your thoughts and feelings become out of the ordinary and difficult to control. Mood swings, constant sadness or worry, chronic stress, paranoia, problems concentrating and more might be symptoms that occur when your mental health becomes disordered. What’s perhaps most important to understand is that these symptoms are not within the control of the person struggling with them. Whether their brain is overproducing a certain neurotransmitter, one area of the brain has become unusually active or otherwise, these troublesome mental reactions are not simply a phase or a rough patch. Treating and managing a mental health disorder requires long-term planning, regular therapy and often medication to keep the brain in balance over the course of a lifetime. If you or your loved one is struggling with a diagnosed mental health disorder, or if you are noticing symptoms of what might be an undiagnosed mental health disorder, you should contact a mental health professional or a treatment center like Anchored Recovery right away. Anchored Recovery is a place of healing — whether you are struggling with addiction, a mental health disorder, an eating disorder or any combination of these, we are here to help. We offer treatment for mental health disorders particularly because we know they often go hand-in-hand with substance abuse. Addiction to drugs or alcohol often arises as a coping mechanism for dealing with the difficulties of a mental health disorder. Unfortunately, abusing substances like these often only serves to further unbalance your brain over time. Our programs are designed to help you find sustainable ways to manage your ailments; we focus on instilling faith, independence, confidence and healthy habits for a recovery that can last your whole life. We are also able to treat multiple mental health concerns, co-occurring conditions such as eating disorders or dual diagnoses of a mental health disorder and addiction to drugs or alcohol. Our programs offer individualized care so that your treatment at Anchored Recovery is customized for your needs, your background and your experiences. If you or your loved one is struggling to manage the symptoms of a mental health disorder, particularly if they are self-medicating with drugs or alcohol, we encourage you to reach out to the Anchored Recovery team right away. Our treatment facility is located in beautiful San Juan Capistrano, California, conveniently located in the heart of Orange County. Our recovery services cover the full spectrum of treatment, from detox to outpatient care. Find out if our programs might be right for you — contact us today at 800-272-4550. Our team is ready to start this journey with you. Get in touch with us today.